Following a competitive tender, we were awarded the contract to produce a range of Virtual Reality experiences, a main promotional movie and short social media video edits to help drive the Lapita Hotel’s marketing strategy. Guests step into an exciting world of curiosity at the Autograph Collection resort, a unique gateway to endless fun and enjoyment. 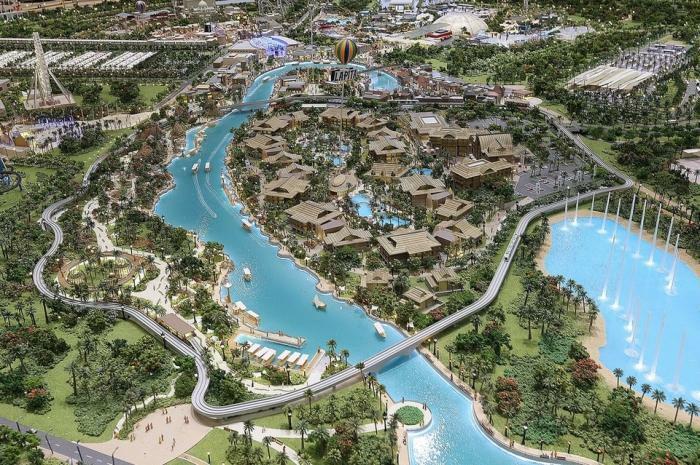 Located in the heart of Dubai Parks and Resorts, Lapita is a Polynesian themed resort hotel with an intriguing tribal theme, which inspires guests of all ages to learn about the Polynesian culture and heritage. Lapita is dedicated to the spirit of the Polynesian islands. The architecture and landscaping, as well as the use of textures, details and lighting, all contribute to the splendour and serenity. The resort offers a soothing and mesmerizing stay at one of the most luxurious hotels in Dubai. Dubai Parks and Resorts is Dubai’s largest integrated theme park resort, comprising of three separate theme parks and one water park. Dubai Parks and Resorts is where the best of the East meets the West to create a world of fun and adventure unlike any other. The warm ambient lighting and modernised Polynesian motifs enhance the guests’ exciting culinary journey at Lapita’s signature dining restaurants. Guests may savour the aroma of delicious cuisine and share good times with family and friends in a cosy and fun setting. Alternatively, they can take refuge at the rooftop bar, which draws inspiration from the rhythm of a tropical rain forest. For those seeking serenity, one can unwind and let the world stand still at the signature spa with its unforgettably serene lagoon style pools. Not only this, but themed activities at Lapita’s centre are designed to offer endless surprises to children and the young at heart.